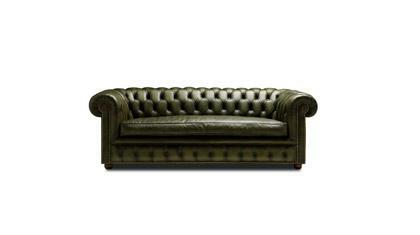 The Richmond chesterfield sofa is available in standard dimensions or can be custom made according to your needs. Shop on-line or in one of our showrooms, our furniture consultants are ready to assist you. The Chesterfield sofa collection by Berto Richmond has been revisited by Berto Design Studio. The Richmond sofa is characterized by rich and exclusive details indicative of the Chesterfield sofa, with antique brass tacks that line the edge of the armrests or the quilted seat backs and arms, to the soft goose down seat cushions, this is a sofa of timeless beauty, every detail of the Chesterfield sofa by Berto is handmade by expert craftsmen, making it the flagship of our sofa and armchair collection. A team of professionals makes the Richmond chesterfield sofa.